Weight up your formula into one of GFI's five pound EcoLine liners, drop it in the mixing pot and secure it using one simple clamp. The vortex action used by the AccuMix-ML provides a fast and thorough mix that gets you on press in no time, all unattended and all without the mess. Use a tin for a weighed up formula and clamp it into the AccuMix-MT. Its vortex action gives you a thorough mix without having to handle the ink. Do other, more important things, and let the MT free you from muscling ink on a mixing slab. Clamp in your container, adjust the stainless steel blade and let the AccuMix-MB do the rest. Its slow rotating table will get your ink mixed up in no time. 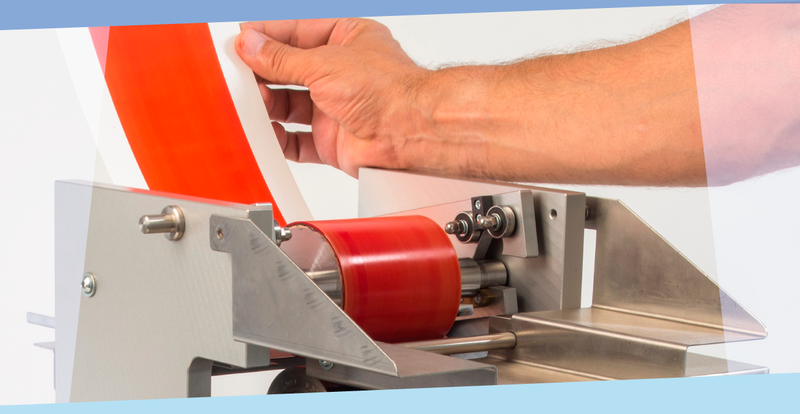 The fast and clean way to verify that your spot colors are dead-on perfect before you go to press. Now, anyone can pull a color proof, and do it in just about 5 minutes..